Maple Holistics Winter Blend Conditioner* + GIVEAWAY! So, I was super excited when Organic and natural company 'Maple Holistics' gave me the chance to try their special seasonal 'Winter Blend' conditioner*! Maple Hoistics make their products with natural ingredients, free from animal derivatives, artificial colours and fragrances, sulfates, parabens and all those other nasties! They contain 100% pure essential oils, botanical keratin and are hypoallergenic - woohoo! The 'Winter Blend' conditioner is a special blend of 18 silk amino acids, 5 mint varieties, argan oil, jojoba oil, aloe vera, shea butter, green tea and many other nourishing ingredients , and the smell, my goodness the smell!! It is amazing - so minty and refreshing, and it actually lingers in your hair long past blowdrying! The packaging is beautiful. Each bottle (there are different blends) is made in a bold colour corresponding to the ingredients. I really love the metallic snowflake design on the Winter Blend conditioner and shampoo bottles - it makes them look so appealing and festive. I cant speak for the shampoo in this range but this conditioner certainly made my hair feel so much more healthy. I usually apply conditioner, then continue to use my bodywash to allow the conditioner time to work its magic, and then rinse the it out. I could feel my scalp tingling from the refreshing mint blends in the conditioner and it really gave my hair life and bounce once blowdried. I usually wash my hair every 3-4 days but I found that my hair needed washing a day sooner with this conditioner - not that this was any bother, actually, I couldn't wait to use it again as the scent just fills the bathroom and makes me feel so revived! I really appreciate a company that takes care of their customers and Maple Holistics certainly do that - in fact, they are offering every customer who leaves them an honest Amazon review a free product of their choice. How dreamy! Just click the 'Free Products' tab on their website to discover more! Okay, so the part you all came here for - the giveaway! I have teamed up with the good people at Maple Holistics and Edumuch to give one of my beautiful readers the chance to win their very own set of the Maple Holistics Winter Blend Shampoo & Conditioner! How lucky are you! All you have to do to enter is leave a comment on this blog post telling me your favourite thing about winter! - The Giveaway is open to US & UK residents only. - The Giveaway will run from Friday 25 September 2015 to Friday 9 October 2015. - The winner will need to email there details to emmahobbsie@yahoo.co.uk, which will be sent to the people at Maple Holistics, who will send out the prize. If you just cant wait, you can shop the entire Maple Holistics Range on their website right here - or check out their Twitter page here! A little while back, one of my beautiful readers asked me to do a post all about acrylic nails. This is a little different from what I usually write, but I like that. 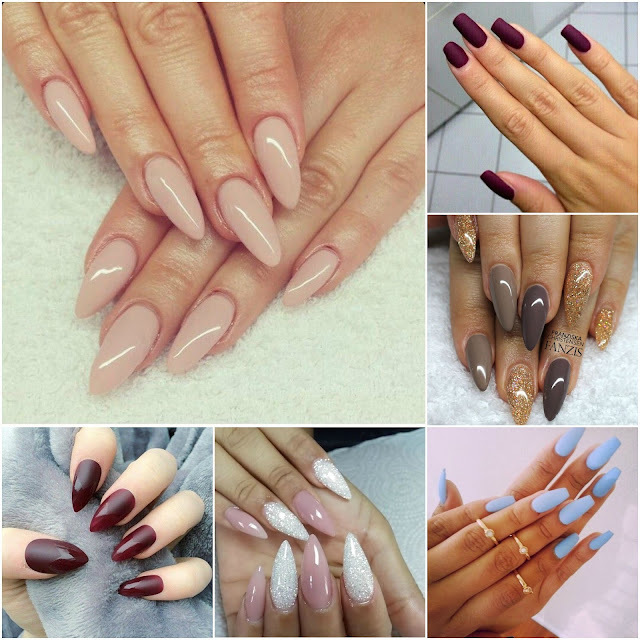 Nails and nail art are a big thing in the beauty world and its important to make an informed decision about which style and formula is best for you. After all your nails are not just a fashion accessory so its important to ensure you are caring for them properly. Acrylic nails have been around for quite some time and are still the most popular form of nail enhancement, but they way in which they are applied has moved on a lot. Most salons will now not use electric and metal tools as they cause a lot of damage to the natural nail, and some salons even apply acrylics with a special gel formula which is easier to remove and, therefore, better for the natural nail underneath. I am actually trained in the application and maintenance of acrylic nails, so please dont think that I am just rambling about something I know nothing about in this post, I will be combining my experience with acrylics as well as information I received during my training. .Nails of any length or shape you like - This is a given, but if you grow your natural nails too long, then they are more than likely going to become thin and brittle and will break more often, however, if you are wearing acrylic nails then you wont have this problem no matter the length or shape.
. Strong Nails - If your natural nails are prone to snapping or breaking then acrylic nails may be good for you as they will give strength to the nail. Note that they wont make your natural nails stronger but the acrylic layer, while applied, will give extra strength and support to the nail overall. .Longer Lasting Polish - Natural nails contain oil which breaks down polish and causes it to chip. Because the acrylic doesn't contain oil it means your polish will last on and on - which is handy if you don't have time to re-paint them every couple of days.
. Can be expensive - Cheap acrylics aren't always a good thing. Its better to pay a little more to a fully qualified technician (ask to see their certificates if you are unsure) who will carry out the treatment correctly. This will give you peace of mind but it also means you have to shell out a few more pounds.
. A lot of upkeep - Your natural nails are constantly growing, which means your acrylic nails will eventually grow up and out, leaving a bare patch of natural nail at the bottom, this is the part which needs to be 'filled in' and usually this is to be done every 2-3 weeks which means more cost. If you are prepared for the upkeep of your acrylic nails then this wont worry you, but if you are not keen on spending money on your nails then this is something you should consider before getting your acrylics done.
. Bacteria can grow underneath if not applied properly - once again, the horrors of unqualified technicians. If your acrylic nails are not applied properly then they will begin to 'lift' - this is when you have small gaps or bubbles underneath the acrylic. This is obviously not a good thing as bacteria and dirt can be harboured underneath causing all sorts of problems to your natural nails, I really can't say enough how important it is to check that your nail technician is fully qualified. If you are serious about your acrylics then there are a few things you can do at home to ensure they will last as long as possible and look as good as possible.
. Only use a non-acetone polish remover - If you want to change your nail polish colour on your acrylics before your next appointment then don't panic, you can easily do this at home, just make sure you are using a non-acetone polish remover. Acetone breaks down the acrylic and causes it to thin, so make sure you are using the correct polish remover and you wont have any problems.
. Avoid oil based products - as mentioned, oil can cause the acrylic to lift off of the natural nail, so try to use products (body creams, hair products ect.) which do not contain oil to keep your acrylics in the best shape.
. Keep your cuticles in shape - Good nail technicians will do this for you at each appointment anyway, but it is good to keep your cuticles pushed back as the acrylic doesn't adhere to them, so you could end up with those dreaded gaps and bubbles! If you are looking for long lasting colour on your nails without lengthening them, then 'Gel nails' may be better for you than acrylic nails (let me know if you would like to see a post about Gel nails, too). In the end it really all comes down to common sense when you are considering having acrylic nails - does the salon environment look clean? Are high quality branded product labels and technicians qualification certificates displayed? Have you heard good reviews? These are all things which can make the difference between a botch job and a professional finish! I hope that this post has helped you to decide on your next nail treatment or, at least, cleared up some misconceptions you may have about acrylics nails! The only thing left to decide now is, which colour polish will you finish your new set of nails with? Its no secret that I love Fall - and it's almost here! I have had a fantastic summer but I am so looking forward to crisper mornings and cosier fashion. 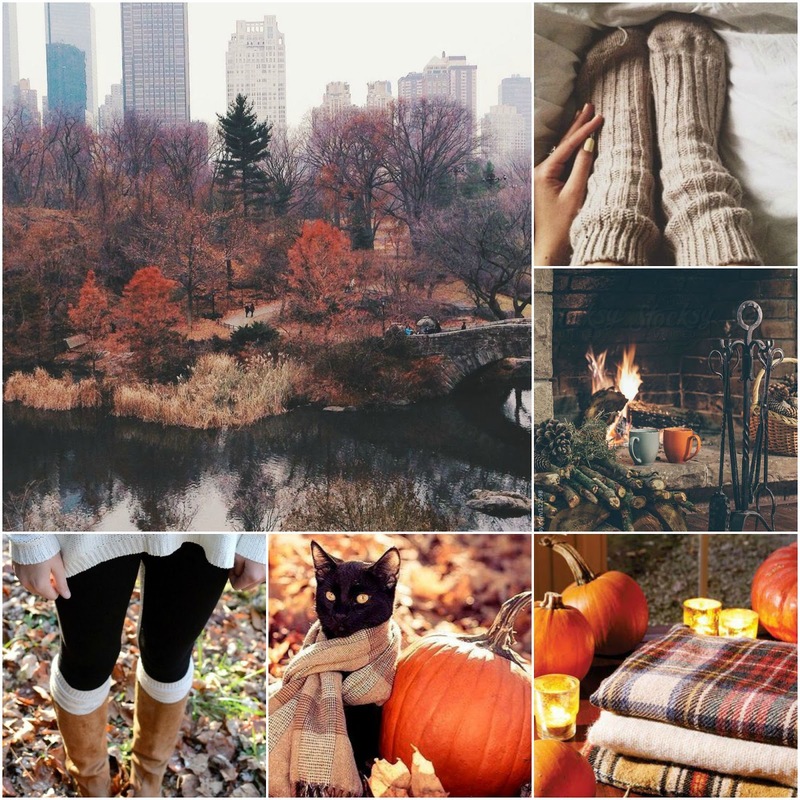 I have been mining Pinterest lately and adding to my Autumn boards so I thought I'd choose a few of my favourites to get you all in the mood for the new season. The colours are gorgeous this time of year, making for a warm atmosphere. The leaves fall and make a beautiful landscape just waiting to be explored. I love going on walks and adventures in the fall and collecting things; leaves, acorns, twigs - things that can bring the feeling of the season into the home. 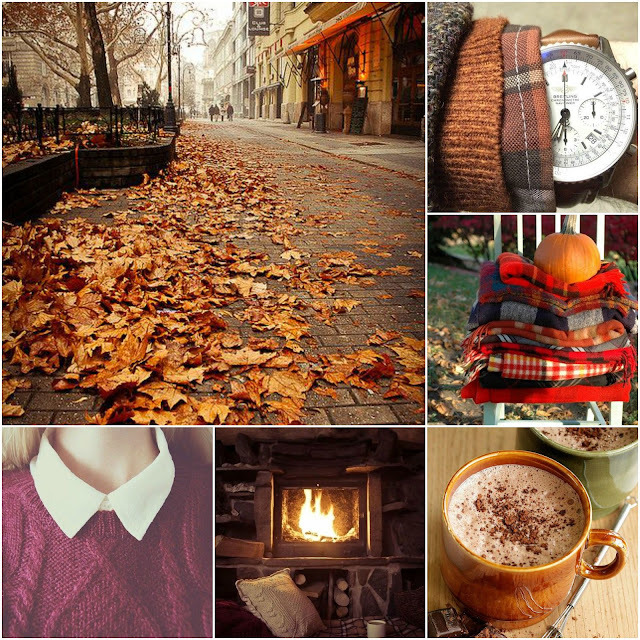 I am looking forward to carving pumpkins and making warm cocoa to sip while reading my favourite blogs in warm pyjamas (xoxomeaghan, Laurennnhobbs,BeautyPadawan,Sazbomb,DitsySprinkles, Dreamingagain to name a few), pulling on boots with cute frilled socks and jumpers matched with collar bibs as well as tuning into some of my favourite TV shows on dark evenings. I cant wait to eat delicious homely foods and look out for beautiful wildlife in our area - there is always something to see, the deer are my favourite. Fall really is a beautiful time of year and I am looking forward to when it properly sets in! What are your favourite things about the new season? I was recently contacted by the wonderful Jayne from the monthly subscription box 'Pink Parcel' with regards to a brand new monthly subscription service which they are launching, called 'Bandzee'. The 'Bandzee' subscription service is focused mainly on hair and each month subscribers will receive a set of 4 supersoft elastic hair bands - but these bands are different, they don't tug, snap or leave dents in the hair and they come in a million and one adorable designs. The 'Bandzee' subscription service is set to launch this September (You can join the mailing list here and be the first to know when it launches) and costs just £4.95 a month, including P&P!! There is no contract to this subsciption service so you can opt in and out as you please. Amazing! When the hot pink bubble bag of goodness fell through my letterbox last week I squealed with excitement! In my special preview parcel I received some darling pieces and I just can't wait to see what's in store for the Bandzee subscription service. Something we all need, and is super handy to have in your bag. This cute glitter file by MadBeauty is ideal for those little nail emergencies which seem to happen at the most inconvenient of times. The glitter design is girly and fun and the grit is perfect for quickly and efficiently filing the nails. I think this would even make for a great little gift! Something which will always be more than welcome in a subscription parcel - chocolate. But not just any chocolate, oh no, this my friends is Doisy & Dam's 74% Organic chocolate infused with maca, vanilla and cacao nibs. It was just heaven in a bar. I love cacao, I use it in powder form in a lot of my baking, so it was excellent to try it in such a decadent yet guiltless way. The Doisy & Dam bars come in a variety of flavours (I'm eyeing up 'Coconut & Lucuma' for my next one) and are surprisingly affordable for health food. I am so glad that Bandzee introduced me to this special brand. The main attraction. This adorable set of 4 nautical themed Bandzees are such a treat. As mentioned, they are made with special supersoft elastic which doesn't snag, snap or dent the hair. They are so comfortable and look super sweet in my hair - and, they can also be worn on the wrist for a quick and easy accessory. Each monthly parcel will contain a set of 4 of these so your hair can be on trend year round! They are even presented on a card printed with an inspirational quote! These don't have an RRP as they are not available just yet but my guesstimate is that they will be somewhere in the £3-£5 range. Another amazingly handy thing to have with you. This adorable keyring hairbrush by Tangle Angel is truly unique as the bristles are embedded with antibacterial additives to make sure no bacteria is harboured in the brush! The bristles are stiff yet flexible to effectively and comfortably remove tangles on-the-go. It is available in 5 colours and each one features the classic Tangle Angel wing design. All in all an adorable monthly parcel which is bound to put a smile on your face and really is a bargain price at just £4.95. I am so pleased to have had the opportunity to try out this exclusive piece and I can't wait for the big release .. I am going to sign up for subscriptions right away! You too can join the waiting list on the Bandzee website, here, and why not check out the Bandzee Facebook and Twitter pages for exclusive updates? What do you think of this new monthly subscription launch? Will you be signing up? It's September! 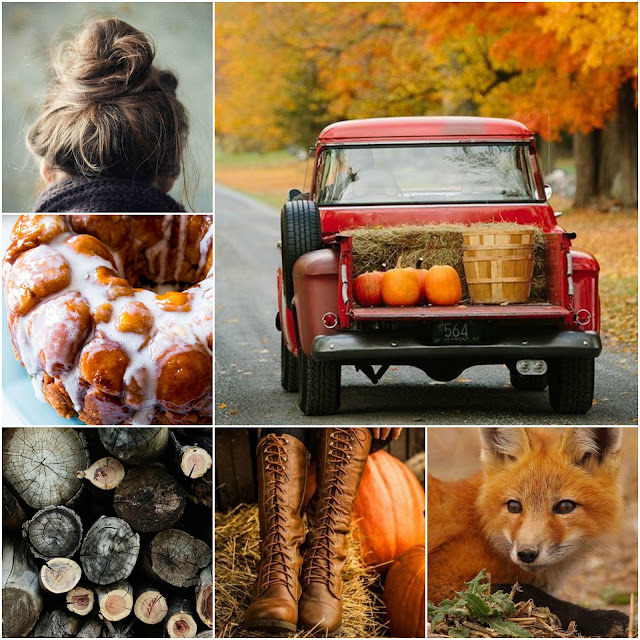 Okay so, Autumn officially starts on the 23rd but its Autumn in my heart right now so I have been taking full advantage of some of the seasonal lines which are now being released and, of course, some old favourites. Following the success of the original Speedy Quick Dry Nail Paints, Barry M have released 4 new shades with a warmer, more autumnal feel. I've chosen shades 'Slip Stream' - a deep purple,and 'Sprint Finish' - a warm berry. These polishes have a revolutionary flat brush to heklp with precise application and, as the name suggests, dry super quickly, they are gorgeously shiny, too. I am already addicted to 'Sprint Finish' as it transforms your manicure and really helps to brighten up those dull autumn outfits. I cant seem to find these online anywhere yet to leave the link, which suggests they are very, very new to to market, but I picked these up in my local Superdrug so keep your eyes peeled if you do want to try them for yourself. I have tried 'Sugar Cookie' and 'Sweet Apple' which are both delightful! They remind me of those candy lipsticks you used to buy when you were a kid - but better! They smell absolutely amazing and whisk you off to a snow filled, festive land! I wouldn't say that these tint your lips but they do provide brilliant hydration which is essential during the colder months, and they make a perfect base for your lip products. Ah, Yankee Candle, a firm favourite in many a household. Dan and I love the wax tarts as the scents are strong and long lasting, plus you can pick them up in so many varieties! New autumn scents have landed and I have picked up a couple that I just don't think I could do without. 'Gingerbread Maple' - a spicy, yet sweet familiar scent which makes me think of all those delicious treats I love to bake when the fall sets in, and 'Vanilla Bourbon' - warming and cosy, this smells like those Christmas markets I love to visit. These provide 8 hours of fragrance each and make the whole house smell so inviting. These are not new releases but they do compliment the changing environment perfectly. When autumn comes around I tend to reach for earthier base shadows mixed with golden shimmer shades. 'Copper' is a pearl shadow which sure packs a punch, you really only need a small amount of this and I love to blend it into the inner corner of the eye and along the lower lashline for autumn glam. 'Chesnut' is a matte shadow which really makes my green eyes pop. This applies so evenly and I love patting it all over my lid and blending it out for subtle smokiness. This was, admittedly, an impulse buy at the till in Superdrug as it was on offer for £3.99 and I got £1 off of it by using my Superdrug card. The foam ball end has a precision tip to create a defined line around the eye and the more bulbous part works to blur the line and smoke it out. This comes in a variety of colours but I chose classic black as it works with a million-and-one looks! I have only used this a couple of times now and I have to say that the wear time is fantastic. This stuff doesnt budge until you want it to. I dont own many L'oreal products, but if this is anything to go by, they are very worthwhile! Matte lips are hard work in the colder months but with a little TLC (and some exfoliator and lip balm) they are possible. All Revlon lip products are currently £4.99 in Superdrug so I grabbed this and it is beautiful. I picked up shade 'Showy', it's is a dusty pink shade which works that 'natural lips but better' look. This feels really buttery and moisturising on the lips despite having a matte finish and because it is a stain balm it has a good wear time, too! Lip pencils are always handy, whether you use them to line the lips or to fill them in, they are a quick and easy way to finish your look. I find them especially useful in the fall and winter when I tend to wear bolder colour lipsticks as they keep it neat and in line. I picked up the Rimmel 1000 kisses lip pencil in 'Black Tulip' and although I LOVE the colour - it is the perfect autumn cranberry - I don't think it is really that long lasting. I gave Elias a big kiss after applying it and it just left a big grandma style kiss on his cheek. That being said, the colour is so lovely, and the price is very good that I don't mind re-applying when needed. Like most girls, I have a massive LUSH crush. Their bath bombs are, well, the bomb and when I spotted this glittery masterpiece on a recent visit I was intrigued. It is a hand mask made with avacado oil, argan oil and various butters to hydrate and moisturise the hands. The sales guy tipped me that you can actually break this into 2 and get more than one use out of it too, which is always a nice thing. You just put it into a bowl, cover it with hot water and allow it to form a mask like texture and then dip your hands into it and relax for 15 minutes. This is the perfect cold day treat and it smells great too! What more could a girl need? I admit it, I am addicted to these. From the gold chrome bullet to the sweet scent they are absolulely dreamy. I picked shade 'Cherry Cordial' to add to my collection. This is a dark berry, vampy shade which works so well with the tan and earthy hues that autumn fashion brings. It has a matte finish which is not drying on the lips and can be topped with a gloss to make it shinier! Eye care is so important to me as I think that bad skin around the eyes is one of the first things to age you. The B. range by Superdrug is one of my favourite skin care ranges as it is affordable and does work too. There are different ranges for different age groups too, to ensure your skin is getting proper care throughout its stages. This eye cream was on sale for 70p when I bought it so I grabbed a few and it is just lovely. It feels so cooling when applied and it helps to reduce puffiness. Another eye product now. I find that in the shorter days my eyes seem to be puffier and darker so I need all the help I can get to conceal it. I have heard so many Youtubers and bloggers rave about this product so I figured it was time to try it for myself. It is brilliant, the soft applicator helps to product to glide on without dragging the delicate skin and without causing wastage. I am worried it could be a little unhygienic as it cant be washed but I don't get much dirt around my eye area so I think it should be okay as an exception. There are a few shades in this product so I found one to match my skin with ease. Am I the only one who likes to switch up my cosmetics bag when the season changes? During the summer I had a pretty blue paisley print one but on a recent shopping trip I spotted this wine coloured one in Primark which I thought would be perfect for Autumn and it was just £3 - bargain! It has 2 zippered pockets, which are great for keeping my face and base products separate from my eye and lip products. Its small enough to take around with me but big enough to store all of my everyday make up items in. All in all, a pretty lovely haul! I cant wait to discover more seasonal products and I'm sure there will be another haul very soon, as I just cant help myself - I'm a sucker for festive pieces! 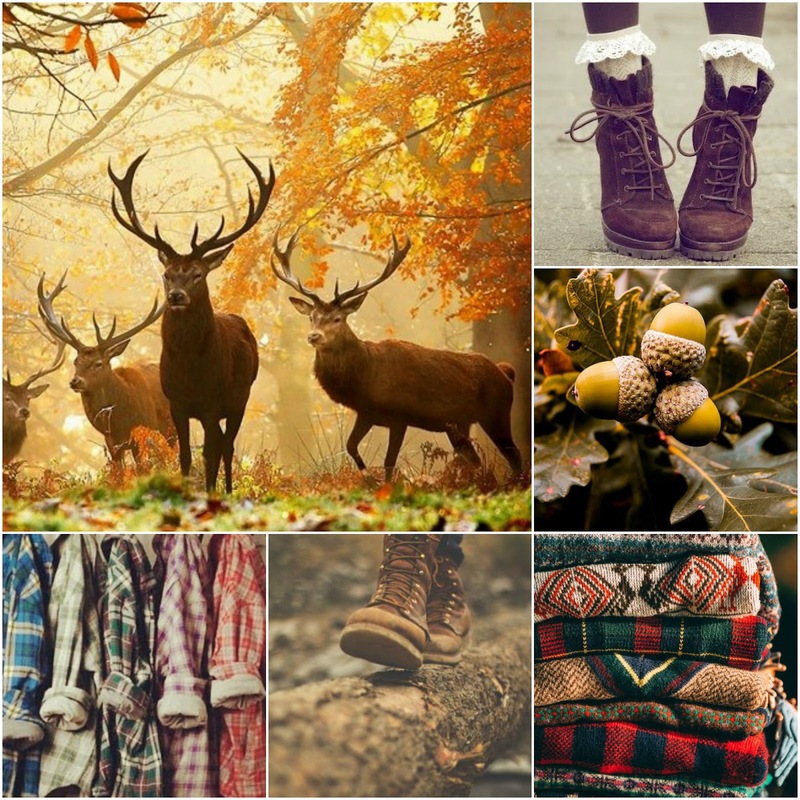 What items are in your Fall Haul?